This is an update to the original chronology, compiled at the Air Force Archives at Maxwell AFB, Alabama, in February 1972. It is based on extensive research in the now more accessible archives, presently under the Air Force Historical Research Agency at Maxwell. Since 1972 much more of our history has been declassified and a more complete chronology can be presented. Although the 420th and 421st AREFS were never part of the 4505th AREFW, they are included to complete the list of tactical KB-29/KB-50 aerial refueling units. 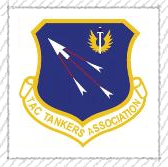 The veterans and families of all of these included units are a part of the Tactical Tanker Association, and all are invited to become formal members and share in the intense camaraderie which we all deserve and enjoy. The Air Force of today, with its �Global Reach, Global Power,� began with us. We were the pioneers. Lt Col Clarence G Weishar, USAF (Ret) in 1993. Certified true and correct. 18 Mar 54: Activation at Alexandria AFB, La., under command of LTC F. R. Bates. First unit in TAC of its type. 20 Jun 54: First flight in KB-29 from Alexandria. 1 Sep 54: Maj J. F. Groom assumed command. 18 May 55: Maj J. B. Young in command. 4 Oct 55: Unit PCS to Sculthorpe RAF Station, Norfolk, England. Attached to 47th Bomb Wing, 49th Air Division. KB-50s assigned. 22 Jul 55: LTC J. R. Sheffield assumed command. 1 Aug 55 - 1 Jan 60: History not available. 1 Jun 60: LTC T. J. Tanner assumed command. 16 Jun 61: LTC L. J. Spears in command. 1 Oct 62: Unit assigned to 7375th Combat Support Group. 1 Sep 63: Unit assigned to 3rd Air Force. 14 Aug 63: LTC J. F. Mc Allister assumed command. 25 Mar 64: Deactivation, Sculthorpe RAF Station, England. 15 Jan 54: Assigned to 49th Fighter Bomber Group, Japan. 1 Jul 57: Became part of 67th Tactical Recon Wing, Yokota AB, Japan. LTC M. J. O'Neale, Jr., Commander. 1 Mar 58: Conversion to KB-50s. 1 Jul 59: LTC Ross Davidson assigned as Commander. 1 Jul 60: Placed under 3rd Bomb Wing. 20 Nov 60: Unit became part of 41st Air Division, Yokota AB, Japan. Nov 60-1 Jul 62: Histories not available. 1 Jul 62: LTC K. L. Warren assumed command. 28 May 64: LTC F. H. Pool in command. 2 Nov 64: KB-50s relieved of refueling duties to PACAF. 15 Dec 64: Second award of AFOUA.  15 Jan 65: Deactivates, Yokota AB, Japan. 7 Sep 56: Activated at Robins AFB, Ga., with KB-29s; Maj J. F. Yelton in command. 1 Oct 57: Unit control transferred from 9th AF to 18th AF. Dec 57 - Jul 58: History not available. 1 Jul 58: 4505th ARW activated and assumed control of unit. As of 1 Jul 58: LTC A. W. Santos in command. 1 Jan 59: Unit PCS to Langley AFB, Va.
1 Apr 60: LTC S. C. Burgess assumed command. 25 Jul 60: LTC T. J. Price in command. 10 Apr 62: LTC R. W. Harris assumed command. 12 Oct 62: LTC G. C. Welch in command. 9 Jan 63: Unit reduced to one officer and one airman pending deactivation. 1 Apr 63: Official deactivation, Langley AFB, Va.
18 Jul 55: Activation at England AFB, La., with KB-29s. Maj C. J. Cordill in command. 10 Sep 55: LTC D. A. Shaver assumed command. 12 Jun 56: Maj L. F. White in command. 10 Dec 56: Maj E. R. Saunders assumed command. 5 Apr 57: Received first KB-50. 1 Jul 58: Unit assigned to 4505th ARW. Jul 58 - Jan 59: History not available. 1 Jul 62: Maj W. A. Williams assumed command. 12 Oct 62: LTC R. W. Harris in command. 1 Apr 64: Deactivation, England AFB, La. Headquarters Squadron, Langley AFB, Va.
427th AREFS, Robins AFB, Ga.
429th AREFS, Langley AFB, Va.
431st AREFS, Turner AFB, Ga.
622nd AREFS, England AFB, La. 4505th CAMS, Langley AFB, Va.
31 Dec 58: Crews per flying squadron increased from 20 to 25. KB-50J possessed by all squadrons. 1 Jul 60: COL L. F. Tanberg, Wing Commander. 13 Aug 62: COL G. H. Kneen assumed command. 8 Oct 63: Deactivation, Langley AFB, Va.
19 Jul 54: Activated with KB-29s under the 405th Fighter Bomber Wing at Langley AFB, Va. Capt M. F. Stowe in command. 10 Jan 55: Maj G. H. Mullins assumed command. 1 Jul 55: Preparation for changeover from KB-29s to KB-50s. 1 Jul - 31 Dec 56: KB-50s in the inventory. Jan 57: Conducted series of classes for 427th AREFS, Warner AFB, Ga., on KB-50 and its refueling systems. 17 Jan 58: Received first KB-50J from Hayes Aircraft Corporation. 1 Jul 58: Assigned to new 4505th Air Refueling Wing, Langley AFB, Va. Growth and operations of 427th, 431st, and 622nd reflected techniques developed by 429th personnel. 6 Jun 58: Maj C. J. English assumed command. 1 Jan 60: Maj K. R. Wheeler assumed temporary command. 26 Jan 60: LTC H. P. Schmoldt in command. 13 Aug 60: LTC T. C. Hofmann assumed command.